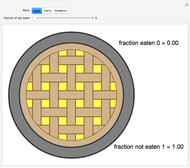 Variants of this silly little cartoon showing a pie chart have been in circulation for some time. 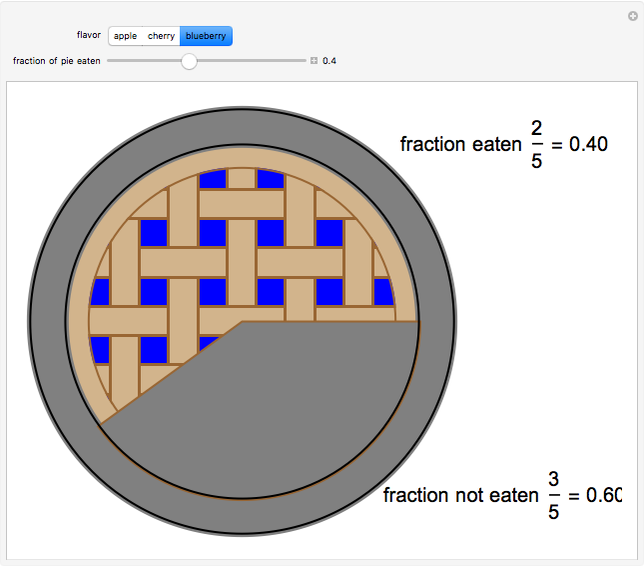 Still, this is a nice exercise for elementary school mathematics students to learn about the graphical representation of fractions using pie charts. They can also get some introduction to angles as parts of a circle. A circular sector is the portion of the disk enclosed by two radii and the included arc of the circle. 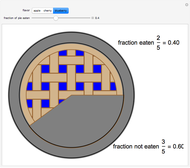 Since the complete circle encompasses 360 , the fraction of the pie eaten or uneaten is equal to the angle of the sector divided by 360 . A 90 angle is called a right angle, while 180 is a straight angle. 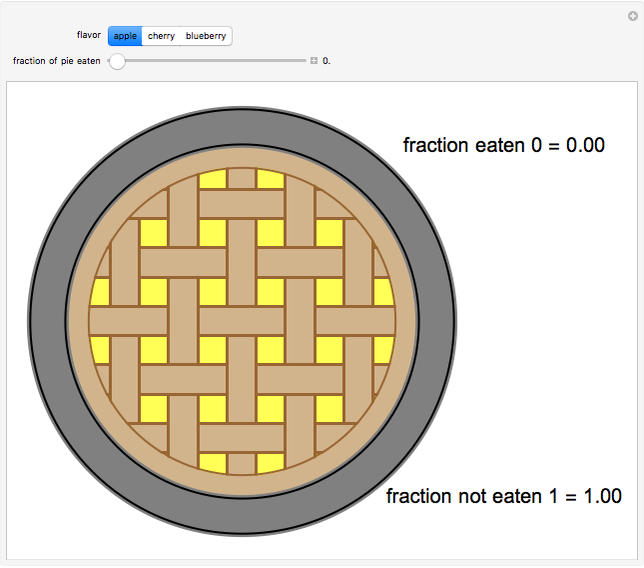 S. M. Blinder "Pie Chart with Fractions"